This document is both to organize my notes about the event and to offer some reflections of our beautiful yet powerful annual event. Before going on, please let me say that I’m very grateful to have received such teachings and that these lessons are very valuable and worth the sacrifices my family and I have had to make to come all the way from Italy to Los Angeles and participate annually. No growth is possible without sacrifices. Also I extend my gratitude to all the black sashes and students who have supported me in this event, before, during and after. And, of course infinite gratitude to Kuk Sa Nim Taejoon Lee and his father Do Joo Nim Dr. Joo Bang Lee who are the pillars of Hwa Rang Do®. Yes, I agree and believe that when we teach, we have to teach self-empowerment and self-discipline to our students, not only self-esteem. Because, self-esteem is only the love and appreciation for the self, self-empowerment is the courage and power to face problems and self-discipline is the possibility to adhere to a precise set of rules (morals/ethics) and respect them in spite of everything. I think that self-empowerment is the foundation of our teaching process. The philosophy that Kuk Sa Nim teaches us is fundamentally a philosophy of power: a person is only truly strong when he makes the right decisions. Good and bad are just shadows of our actions. Only the Truth can direct a person towards what is good. I would like to think that when I am teaching my students, I am making them stronger in all aspects: mentally, physically, emotionally, and spiritually. Many people “try” but few people “do”. When a committed student says that he’s trying to improve or something of that nature it’s a symptom of his predisposition: he’s going to quit. It could be for many reasons; maybe the responsibility he feels is too much, maybe he’s tired, lost his motivation, but nevertheless that is his condition, his illness. When you’re concentrated in doing (making something happen) you cannot complain, you cannot waste your time, you cannot think about leaving or other negative issues; you’re focused on achieving. That’s because by the act of “doing” it is self-motivating. When you need to “try” to do something it shows a defensive, apathetic, self-defeating approach. Even before starting you already know that your doubts are greater than your motivations and that’s surely the end. Maybe not immediately, but sooner or later that’s the result, failure. So, as teachers, leaders, we have to be aware about this process/symptom and act accordingly, preventing or fixing it (preventing is better). Being afraid of change is one of the main reasons why many of our old instructors left Hwa Rang Do. It’s a very important issue for all of us leaders. Why are people afraid of change? Because it consumes much energy, critical thinking, and forces you to question yourself and everything you have ever believed in, shaking your foundation to its core. Definitely, we have to understand that there is a unique point in which our lives balance on, the issue of our death. As wise people, we should understand that there is no other points of external balance which can be accepted. Growth is change and change requires pain and sacrifice. It’s easy to say, easy to understand, but very hard to accept. Normal students are afraid of Hwa Rang Do because they believe it is too much. The standard class is the only stable point in their martial arts journey. They need to be anchored with things that they can expect, giving them sense of stability and confidence. Changing the class too much daily where it’s always unpredictable is a sure way to lose students. It is our responsibility as teachers, instructors, and leaders to offer them in the beginning the sense of security through a stable, consistent program and empower them with the end goal of liberating them from mundane routine, systematic control, ultimately to live dynamically. From this point of view, I think it’s very important to divide the classes for instructors and the classes for normal students. It has to be clear what the distinctions are and normal student should not be in the high-level instructors classes as there are different degrees of expectations and levels of self-belief. What a huge responsibility! Every time I think about it, I’m in fear of being inadequate, but that’s the right direction and I cannot waste my time with negative feelings. I must only focus on training harder and become better than before. My students are always critiquing me, even when they seem to be patient and tolerant with my weaknesses. When they follow me, they should inevitably learn, improve. So, if I am weak, they become weak; if I am bad, they become bad. All leaders must push themselves to be the best, to do their best: that’s the only way to teach how to improve and grow. It doesn’t mean that my best is absolutely the best; it is only doing my best and the process of giving my personal best is what is necessary to be a positive, self-empowering teacher. One of the fundamental aspects of my training is repeating thousands of times the same technique. I have also taught my students to do the same. What I didn’t teach them and myself is to be accurate and precise. My way to teach and train has changed much in the last 2 years. The sentence “more doesn’t necessarily mean better!” is always in my mind and I strive to find more effective ways to train, learn and teach. Time is important! Repeating techniques are good for the spirit, but only when you’re getting older, you start to understand that time is very precious and it must be used efficiently. This idea perfectly describes our times of crisis. People don’t want to commit to long-term goals because they are afraid that they might be missing out on something, some opportunities, but that is terribly absurd. When you try to do too many things, trying to have everything, not to lose anything, focusing on nothing, you are surely going to lose everything. The right way to accomplish more is to focus precisely on one thing, and then relax to finish one task at a time. Then, from the completion of one, many more opportunities grow from its solid foundation. I don’t have solutions for this. I only teach people to be strong, I think it’s the only answer that I can give as a teacher and a leader. Nevertheless, I’m sad about the overall situation, as I feel at times helpless to change the popular trends of the world today. Our journey of learning and seeking knowledge is really Hwa Rang Do in itself for me. If we remove this of idea of epistemology, philosophy, of seeking truth from Hwa Rang Do, then it’s no different than any other martial arts. What I mean is that it’s not only the amount of techniques or the techniques itself that makes Hwa Rang Do special, but the way we teach and learn them. From this perspective, it’s clear that the journey is really much more important than the destination, as the destination might not even exist. A program without commitment is really hard to understand for me because I cannot teach non-motivated people. I am relieved to know that Kuk Sa Nim was joking, but there’s some truth in it. Anyway, I want to think about it, as I understand that it’s a good means for business and to give people a good opportunity to be introduced to the world of martial arts. From this point of view, it’s better than pure fitness, dance, or yoga, etc. We have to survive from an economical perspective and it’s not easy in a very competitive world where you can become a karate or Tae Kwon Do black belt in less than 1 year (paying a lot of course…). But, of course only as a gateway, an indoctrination into our core curriculum. Independence or self-reliance is another reason why some old instructors left Hwa Rang Do and a specific reason why some black sashes don’t want to open their own schools. 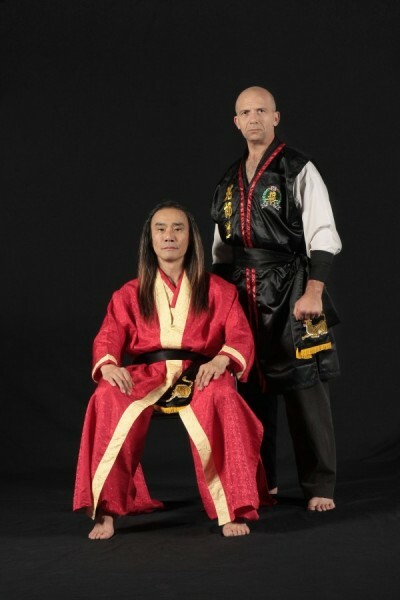 I set a precise rule in Italy: if you want to become a black sash, if you want to test for black sash 1st dan, then you have to open at least one Tae Soo Do Club. It’s very clear and there’s no compromise on this. Furthermore, this is exactly what Kuk Sa Nim has outlined many years ago as he clearly stated that we are not just Black Belts, we become Hwarangs and they are generals, leaders and if they don’t have anyone to lead, then what’s the purpose of becoming a Black Sash? If they don’t want to do it, then they can leave Hwa Rang Do immediately. For me, it’s not possible to learn Hwa Rang Do without taking the responsibility of teaching. Maybe I push my advanced students too hard, but I’m very concerned about the future of Hwa Rang Do and I want to do my best to help Kuk Sa Nim and Do Joo Nim to disseminate the Art and to create a stable set of schools in Italy and Europe that can survive for many years, even after my death. Being aware of what the martial art is doing and has done for one’s personality, the body and the spirit should be the primary concern for a good student. We have to motivate our students to better understand what Hwa Rang Do is and what Hwa Rang Do can do for them. Seeking understanding is energy-consuming and I know that a lot of our students don’t want to spend the time and effort necessary in deep self-reflection to truly know themselves and their changes. The fact of the matter is that it’s not possible to study Hwa Rang Do without introspection. Therefore, the process of understanding is inevitable. The goal for us, leaders and teachers, is to guide them in this process and help them when needed. Yes, there are instructors who are not able to do many things due to physical limitations, age, etc., but they can still strive to teach very well the small amount of things they know. And, even if they cannot do it, they still need to know how it’s done. The result is that they will have many followers and those students will become very loyal to them. It’s a very important issue. We have to spend time not only in training, but also in teaching how to train other people. This starts from the basics. From this point of view, I would like to thank Susuk Sabumnim Dylan Sirny for the enlightening class he gave us about how to teach children. I believe that the methods he explained were fantastic! And, should be standardized for all schools and teachers. I have been reviewing what I’ve learnt from it and I will begin by applying it on a specific experimental set of children (Alice, my daughter, will be part of it). I want to train myself in that direction, improving my skills in depth and then disseminate my knowledge to all the Italian instructors, motivating them to apply the same methodology. It’s a very interesting point. I’m glad for this reflection. When I teach kids I deal with them as adults, but I have to remember that for them feeling; what’s pleasant and unpleasant, what feels good and bad are much more important than rational reasoning. It’s a key point to remember when dealing with children. I’m fascinated by this definition. I heard it from Kuk Sa Nim some years ago and I have been very happy to hear it again this year. We, as leaders, have to be beautified by the essence of fascinating people. I think it’s something that we can learn because esthetics and symmetry can be studied, understood and applied as concepts: (1) esthetics through the exercise of understanding the perceptions of others about us and the world; (2) symmetry through the study of rules and behaviors that make our lives consistent and balanced with what we think and say. That’s definitely why beauty and beautiful people attract other people even those they don’t necessarily want. I have been practicing the egoless way for several years and I find it very difficult due to my nature, but I’m coming to understand more each day. For the first time, this year, I participated in the championships as a competitor without thinking about the results and that has been a great experience for me. I also matched during the black sash test and in that situation; my main goal was to collaborate with my brother (not opponent) to allow him to demonstrate his abilities. I liked it so much more! The problem I have here in Italy is that I’m the highest degree in Hwa Rang Do and when I match it’s always a lose-lose situation: if I lose I’m losing against a student of mine, if I win I’m winning against a student of mine… I partially solved this problem by matching only with the highest ranking black sashes in private with explanation and understanding of the unique situation. However, it’s a pity that it’s not too often. Thanks to Fernando for the valuable business issues he pointed out during the presentations. The sentence “Promotion comes from imagination!” captured my attention. It’s definitely true! The greatest businesses in the world come from small but innovative ideas. The tools are important, mainly Internet based tools, but it’s the imagination, which is the source that fuels new and effective businesses. I completely agree! The pre-test for the Tae Soo Do black belt test, here in Italy, is unbelievably difficult now as it is. I made it harder and harder each year. The hardest test creates the greatest results and the greatest value. Kuk Sa Nim is doing the most incredible job I have ever seen in martial arts, he’s standardizing the entire Hwa Rang Do curriculum with the tools of multimedia and everything will be online. I’m so grateful for this and I follow every indication and detail He teaches online. The standardization is really valuable for Hwa Rang Do, mainly for long distance students like me. On the other hand, Do Joo Nim is the creator of the syllabus and of course he can see and understand all aspects of Hwa Rang Do and to expect him to remain within a set of standards is both an impossibility as well as a waste of his prodigious talents, his genius. Therefore it fits perfectly into our framework of Um and Yang, static and dynamic: Kuk Sa Nim is the standardized reference point, and Do Joo Nim is the infinite variations. When I deal with my students it’s hard for me to always explain the reason or the why of my behavior. Now, I understand that is not completely correct. I want to fix this aspect of my personality. I ask a lot of trust to my students and sometimes, because of that I lose some of them. I will find a new way to create a way of balance in which the students can understand much more the reasoning behind my decisions. These words are so beautiful and human that I cannot say anything more. All of our techniques come from natural laws, so understanding those laws means becoming complete and closer to God. The techniques are only a means to understanding nature, God’s creation. And, to live and walk in that path is becoming Godly. Teaching for free is not a good idea for at least two reasons: (1) if it’s for free, the public doesn’t value and only question why it’s free, so we diminish the value of what we teach; (2) if we are not able to ask at a higher price, then it means that we don’t believe that what we’re teaching is worth any value and this is worse than the first point because we are diminishing ourselves. Every Hwa Rang Do School should have at least a five-year plan. I have a ten-year plan for the entire Italian branch and for EU, but maybe I’m too presumptuous. Anyway, what I can say for sure is that ideas are the drivers of reality. If you don’t have a specific target or worse if you don’t have a target at all, it’s very hard to hit any mark. The target may change, but it must always exist otherwise every action is a waste of energy. Having a target, a vision, for the organization means that we must plan accordingly and to plan before every situation before taking action. In this way, whatever structure we create is ready to face many problematic situations and increase the probability to survive the storms through the years. Hwa Rang Do asks for 100% of all what you can do and all of your potentials. Sometimes, it’s not easy to deal with what Hwa Rang Do requires and then we always have two choices: stay or leave. In spite of that, I believe that a person cannot really choose to stay or leave Hwa Rang Do. Every person is free to choose one way or another. However, I absolutely believe that it is the Art that chooses the person and not vice-versa. Like a hero that gives his life for an ideal: can he really choose to give his life? Or is he what he is because he cannot avoid his fate? Yes, I think it’s possible and exciting. We never cease to progress, to move forward, onward, always moving. Kuksanim teaches us to be first and to not wait for others before we take action. So, at times more than not, to others we seem to be swimming upstream.